Japanese whisky, in my thus far limited experience, is generally subtle, focused, and very derivative of its original inspiration: scotch whisky. Stand-out Japanese whiskies have been made by aging in Japanese Mizunara oak or plum wine casks, which lend a unique Japanese character. While I was very impressed by Nikka from the Barrel and already a big fan of blended whisky Hibiki 12, I disliked the Yamazaki 12 year. The Yoichi distillery is one of Nikka’s two malt distilleries. 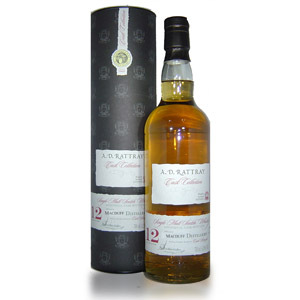 Established in 1934 by Japanese whisky legend Masataka Taketsuru, it produces peated, heavy malt for both blending and release as single malt. While Yoichi originally used local peat, it now imports most of its peat from Scotland. The distillery is notable for its use of direct coal-fired still, a practice so old that it’s not even in use in tradition-bound Scotland anymore. The 10 year is aged in ex-bourbon casks (and allegedly spends some small amount of time in Mizunara casks) and is bottled at 45% ABV. My sample came from my Flaviar Welcome Pack (although current Welcome Packs no longer include it). The sample was collected from a bottle in December 2014. Nose: Toasted nori. Flour dumplings, and the faintest hint of plum sauce. Quite salty (like Old Pulteney). Roasted, salted nuts. Lightly peated, but maritime in nature (briny). Palate: Definitely salty. Thin on the palate. A little hot. Savory – like Pork Bao – peaty with notes of smouldering hay, smoked meats, and smoked fish. Malty as well, with undercurrents of sweet cereal grains. Finish: Long. 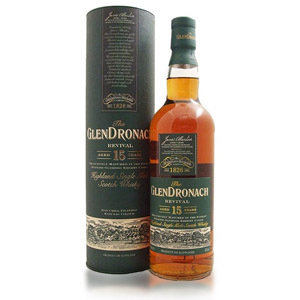 Clearly peated, although the peat seems to run in the salty/seaweed direction rather than the smoky/campfire direction. Fades slowly, with evolving notes of crispy fish skin, nori, seawater, and finally iodine. With Water: A few drops of water open up a lot of iodine, medical tape adhesive, band-aids, and mutes the savory notes a bit. On the palate, it accentuates instead the meaty / pork notes. I would avoid the water with this one, unless you find it a little hot and in need of proofing down. Even then, don’t add much. 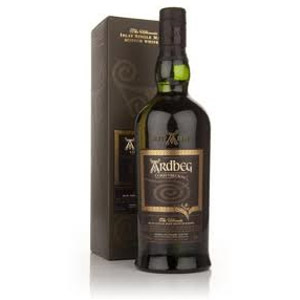 Overall: Peaty, with the same notes as the more seaweed-flecked Islay malts like Laphroaig but without the same intensity. As much as I respect Japanese malts, I find this to be a copycat of Scottish malt from Islay. Besides the somewhat-unique salty notes (which can also be found in Old Pulteney), the Yoichi isn’t demonstrably “better” than any 10 year-old peated Scotch, while it costs substantially more. 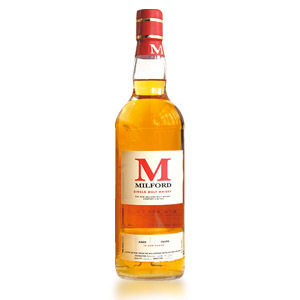 I have the same opinion of the peated Amrut single-malt from India, which also feels like a copycat. 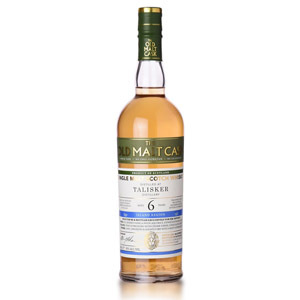 I’m marking it Not Recommended because I feel that the non-enthusiast is better off with a cheaper, more widely-available Scottish malt from Islay (Laphroaig Quarter-Cask for example). 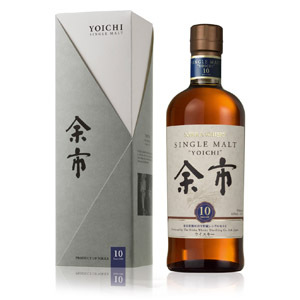 Still, if you’re tired of the same-old peated malts and want to try something else, the Yoichi 10 is not a disappointment. Great to see you covering another Japanese whisky Nathan. Too bad this one is not available anymore. I tried it a couple of years ago in Japan, but I didn’t spend enough time with it to score it or take tasting notes. My impression of it at the time was that it was more salty/peaty than overly smokey – but still fairly light overall. I don’t know what the new NAS is like, but I wouldn’t be surprised if it is quite different. I can tell you Taketsuru NAS is very different from the old Taketsuru 12yo – specifically, the noticeable touch of smoke (from Yoichi) in the Taketsuru 12 is gone now in the NAS. Yeah, I’ve enjoyed many of the Japanese whiskies I have tried, but the price surge has made me sad. That being said, you should seek out the Nikka Coffey Still whisky. It is fantastic, and well worth the $60 range I tend to see it at K&L or Beltramo’s. It reminds me of a better Great King Street Artist’s blend. I prefer Yoichi 10 to Miyagikyo 10, but with both the thing that really turns me off is the bitter astringency in the taste. It’s like a car moving along smoothly and then the back wheels just fall off. The 15 y.o. expressions of both malts are quite good, though. I would say to anyone looking to dabble in aged Japanese single malts, start there (15 years or older), but with bottles being scarce and prices well beyond ridiculous in most places, it’s not very meaningful advice to anyone drinking on a moderate budget. I haven’t tried the 10 yo but the 15 yo is a top ten of all time in my book. Unfortunately way too expensive now. On a related topic/dram, I stumbled across Nikka 12 at a downtown NYC bar recently. I was admittedly irked by its minimum (40%) abv presentation, with obvious color added (typical of Japanese whiskies). But what really matters to us are the nose and taste, and both were without flaw. In terms of ranking, Nikka 12 was certainly better than its Coffee Grain sibling. I also prefer it to Hakashu 12. However, I’d give Yamazaki 12 an edge due to its spectacular finish, and a slight nod to Hibiki 12 with its plum wine nose. All that said, for the ridiculously high price that this and other Japanese whiskies are fetching these days, a more satisfying value proposition can be easily found from a whisky born 6 time zones away in Scotland.